EPC and ESNE demo EPC's new MP-1086 Recorder for Ocean Survey, Inc. 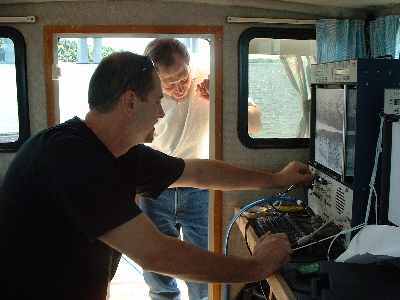 Ocean Surveys Inc. (Old Saybrook, CT) tests the new MP-1086 with EPC Labs, Inc. and ESNE. OSI interfaced their existing side scan sonar to the multi-purpose MP-1086 and collected data in the Connecticut River. The MP-1086 allows operators to interface analog side scan sonar towfish, print and log data to a either a removable storage or out the Network Interface. OSI owns three EPC GSP-1086s, a Model 9802 and an ADS-640 Acquisition Display System.